Q & A with the developers of Edge Of Oblivion: Alpha Squadron 2 – Martian Monkey – Apps and Games for IOS and Android. Will you get to play with the bad guys ships…? Of course you will, because that’s just cool! A: Yes, that is kind of the point, we wanted to replicate the feeling we had playing those games. We love the Rogue Squadron series and played them endlessly when we were younger, they inspired us. This is a loving homage to those games! Q: Why Make this game? A: It really sprang from our desire for a Rogue Squadron part 4, but that game never happened. So we decided to make our own game with those play mechanics that you could play on your phone or tablet. Q: You released Alpha Squadron in 2013, how different is this new game from the old one? A: The new game is vastly superior to the first one, we were just getting our feet wet with the first one and we were on quite a time crunch, so we were limited in what we could achieve. Q: What are some of the differences? A: Wow, ok…Well the level sizes are massive and open compared to the first one, there is a lot more freedom of movement. We have a lot more ships to fly, guided missile weapons and bombing capabilities in bomber class ships. We have wingmen who you can give commands to during combat and they will join in and help you, the AI of the enemies and those wingmen are also a lot smarter and more dangerous! Q: What sort of environments will we see? A: Everything! Including an ice planet, a water environment, volcanic environment, a city planet, desert planet, a highland environment and of course beautifully rendered outer space environments with combat hazards like asteroids and mines. Flying a Hadian bomber in Edge Of Oblivion: Alpha Squadron 2. A: Well the story is basically a continuation of this conflict between the Hadian empire who are seeking to dominate the galaxy and their galactic neighbors the Elysians who are much smaller and less equipped to do battle. Another difference with this game is that all the characters are fully voiced by actors, which I think definitely gives the missions more urgency and drama. A: Yet to be determined. We are currently focused on making the single player campaign missions as great as we can make them. A: Currently the plan is IOS and Android, we are also looking at the VR headsets out there like Samsung Gear VR etc., for a possible virtual reality version of the game as each ship has a fully rendered interior cockpit view. Q: What sort of control methods will the game support? A: It will have on screen touch controls as well as tilt controls and HID blue tooth gamepad support. A: Currently there are no plans for user customization, but we do have different configurations for each ship available. Starting with a balanced base configuration and then other setups that favor say weapons at the expense of speed, or speed at the expense of armor, and so on. 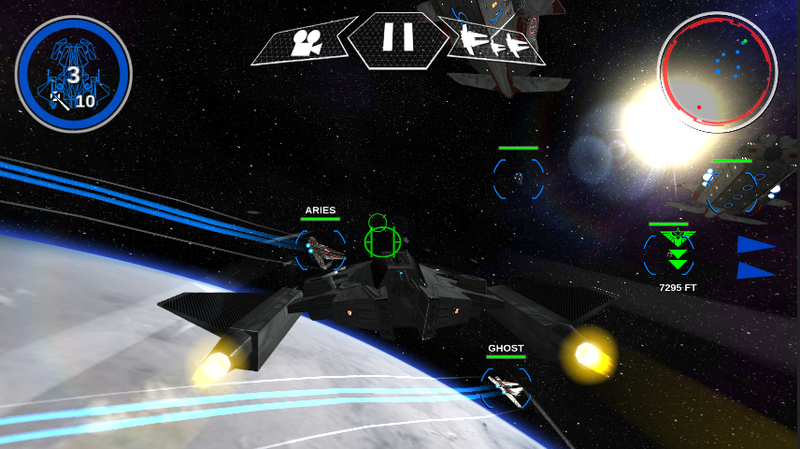 Q: What do you think about the resurgence of space combat games? A: We love it! We played and immensely enjoyed the Wing Commander, X-Wing and Tie Fighter sims in the 90’s, but the success of the Star Citizen kickstarter definitely started a new era for the space combat game. With other great games coming out like Elite: Dangerous, EVE Valkyrie and No Man’s Sky, it’s a wonderful time to be a fan of the genre. 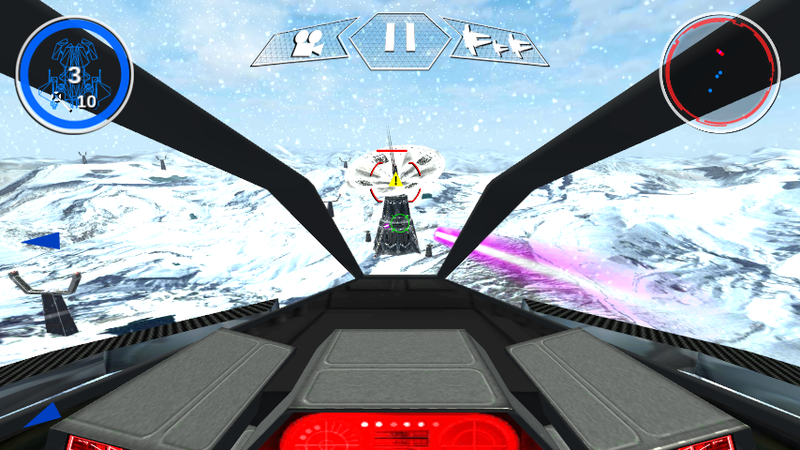 Edge Of Oblivion: Alpha Squadron 2 is coming soon! Check this website, like us on Facebook at http://www.facebook.com/martianmonkeygames and follow us on Twitter at https://twitter.com/MMonkeyGames for updates on the game!